As one of the region’s largest air filtration service companies, Bonded Filter believes in preventative maintenance. 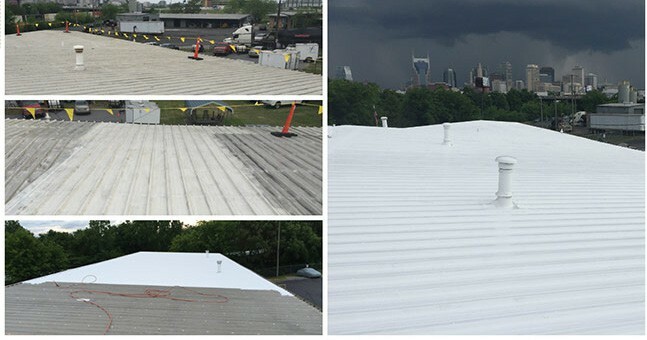 Their Roof Consultant who manages all of the facilities in the company’s portfolio referred our Nashville commercial roofing company to this project. This facility is located in downtown Nashville, Tennessee across the street from the Tennessee Titans. As you can imagine property costs are high and lots are small. We had four buildings packed tightly together in a small triangular lot. Our largest clearance being 70’ to the adjoining parking lot, 50’ to the road accessing Interstate 24 and 30’ to an active railroad line that constantly brings vehicles from the Nissan facility. Needless to say overspray risk was a real concern. This was compounded by the consistently filled parking lot as the facility operates 24 hours a day, six days a week. Each day prior to beginning to spray the Progressive Materials high solid silicone roof system, ACS managed the logistics of moving fifty cars around on the small lot and the vehicles left by out of town employees were covered. The vehicles were moved based on where we were working that day and the direction of wind speed, which in many cases was gusty due to the near by river and summer weather patterns. ACS worked with the property owners and staff to provide the best service and as little interference to their schedule as possible. 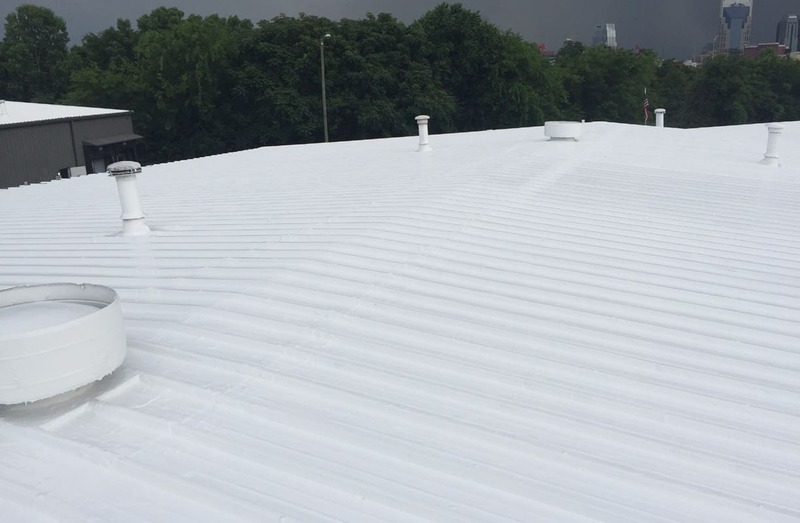 The Nashville facility for Bonded Filter is now protected with a 10-year labor and material Progressive Materials high solids silicone roof coating. Through proper planning and working diligently with the client, this was achieved with no overspray damage to any vehicles or neighboring property. CLICK HERE! to take a look at our replacement options to see which is best for you! © 2019 ACS Commercial Roofing. All Rights Reserved. Site by Possible Zone.